Put a little pep in your step with the Clarks Step Glow Slip. 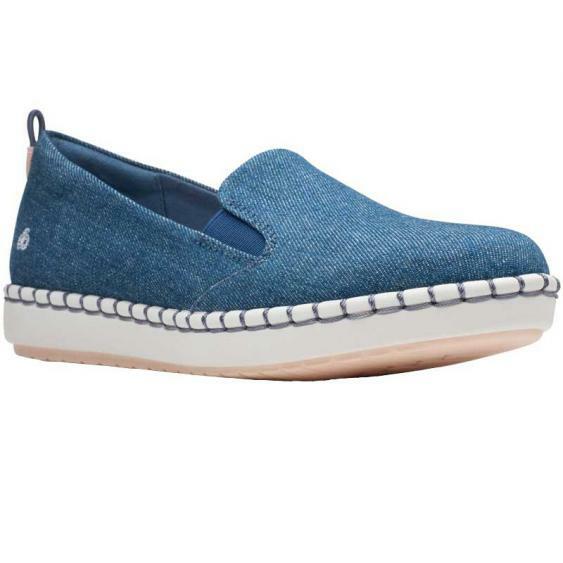 This espadrille-inspired slip-on is part of the Clarks Cloudsteppers™ collection which uses layers of Cushion Soft™ padding to bring you outstanding comfort. The textile lining is breathable and elasticized gussets make the Step Glow Slip easy to get on and off. The lightweight EVA midsole provides shock absorption and a durable outsole offers reliable traction. Keep going all day long with the comfort of the Clarks Step Glow Slip.